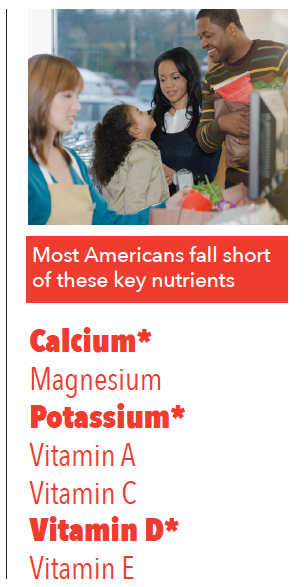 It is well established that Americans are falling short of key nutrients, but new research shows that low-income Americans are at greater risk for essential nutrient shortfalls than Americans from higher-income households. Dietary supplements, like the multivitamin/mineral (MVM), provide shortfall nutrients and have been shown to help fill nutrient gaps. Including MVMs in SNAP creates no additional program costs, but provides low-income consumers with a choice for better nutrition. 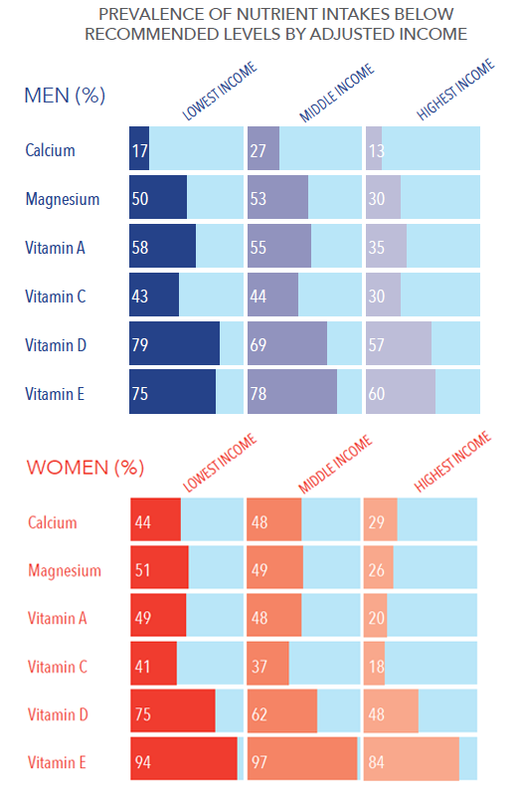 Getting all essential nutrients from food is preferred, but data show that most Americans fall short in key nutrients such as potassium, magnesium, calcium, and vitamins A, D, E, and C.1 In fact, the 2015–2020 Dietary Guidelines for Americans identified that under-consumption of calcium, potassium, and vitamin D is of public health concern because low intakes are associated with particular health concerns.2 Additionally, under-consumption of iron in young women, women capable of becoming pregnant, and women who are pregnant is of public health concern. Further, adults at the lowest adjusted household income had a significantly higher prevalence of inadequate nutrient intakes (calcium, magnesium, and vitamins A, C, D, and E) compared to those at the highest adjusted income. 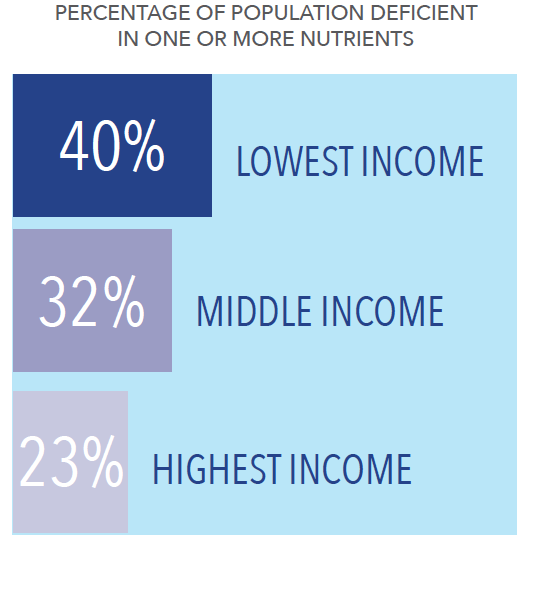 4 The percentage of men and women who had inadequate intakes of these shortfall nutrients was also significantly higher in the middle PIR category compared to the highest PIR category, showing that micronutrient inadequacy is widespread in adults with lower incomes. These results are reinforced by a study in which biological measures of nutrient status were compared across household income categories.5 Individuals from low PIR households were more likely to be at risk of micronutrient deficiency or anemia (indicative of iron deficiency) than those from higher household income categories. Forty percent of individuals from low-income households were deficient in one or more micronutrients (vitamins B6, B12, C, and/or D) and/or anemic, compared to 32% and 23% of individuals from medium- and high-income households, respectively. New research shows that low-income Americans are more likely to fall short of their nutrient needs than Americans from higher-income households. 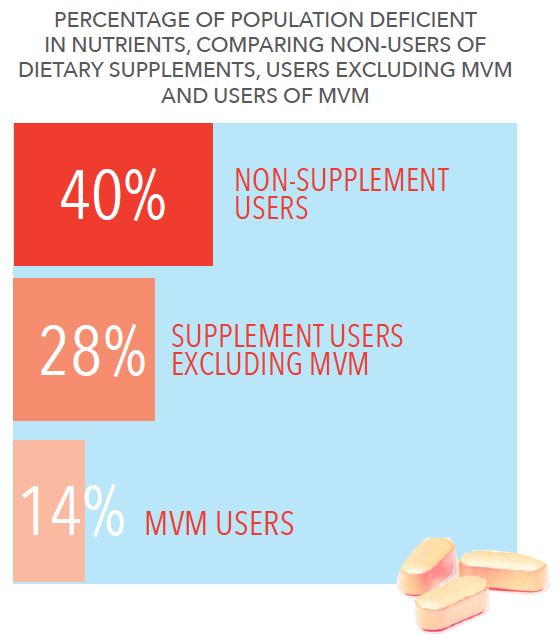 Taking an MVM has been shown to help fill essential nutrient gaps; however, MVMs are currently not included in SNAP. 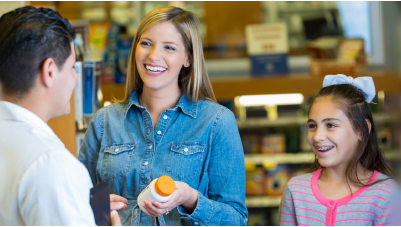 By including MVM coverage in SNAP, program costs do not increase—it simply gives recipients the ability to make healthier nutrition decisions. 3 Bailey RL, Akabas SR, Paxson EE, Thuppal SV, Saklani S, Tucker KL (2017) Total Usual Intake of Shortfall Nutrients Varies With Poverty Among US Adults. Journal of Nutrition Education and Behavior. In press. of childbearing age. Journal of Nutrition Education and Behavior 48(10):691-696. Multi-Vitamin/Multi-Mineral Supplement Intake on Nutritional Adequacy and Nutrient Deficiencies in U.S. Adults. Nutrients 9:849. 10 Bailey RL, Akabas SR, Paxson EE, Thuppal SV, Saklani S, Tucker KL (2017) Total Usual Intake of Shortfall Nutrients Varies With Poverty Among US Adults. Journal of Nutrition Education and Behavior. In press. 11 Fulgoni VL, Keast DR, Bailey RL, Dwyer J. 2011. Foods, fortificants and supplements: Where do Americans get their nutrients? Journal of Nutrition 141:1847-1854.